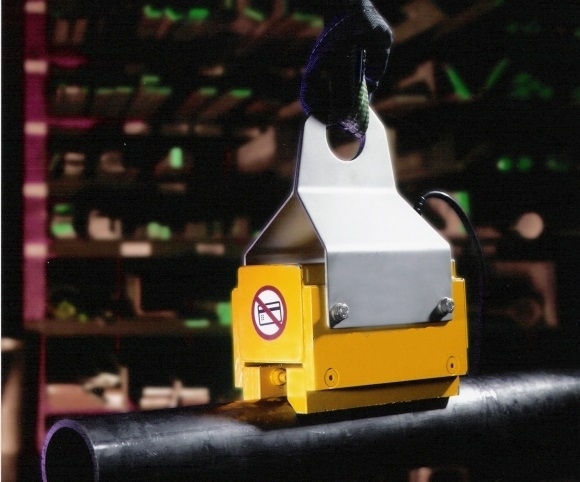 The electro-permanent lifting magnet is suitable for lifting flat or round ferromagnetic objects from 6 mm thick. The hoisting of an object is realised by a permanent magnet, while releasing occurs by an electromagnet that neutralizes the permanent magnetic field. So without energizing, the magnet is turned ‚on‘.